Are you looking for the best organic fertilizer available? Did you know that there are a lot of organic fertilizers in the market, but only a few are considered as the best? If you are one of the many who is looking for the best organic fertilizer available today, then you will surely find the information below beneficial. Understanding the importance of having a compost for your garden can help improve and stimulate the plants’ conditions. Even if your soil is healthy, it still needs a little additive for it to work well perfectly. Put in mind that an organic fertilizer is different from the typical chemical fertilizers. The reason behind this is because organic fertilizers are adding materials that are organic while promoting the plant’s growth. Knowing how to choose the right type of organic fertilizer is essential, for you to ensure that you are giving the right nutrients that your plants need. If this is your first time purchasing an organic fertilizer, then the information below will help you choose. The first thing that you need to do is to test the soil that you have in your garden. For you to be able to do this, you need to figure out the existing soil’s composition. There are different kinds of tests that you can do on your own, including tests for phosphorus, nitrogen, and pH. These tests will let you know your soil’s components.You can purchase test kits for soil in garden supplies. You may also contact state cooperative or private laboratories to test the different aspects of your soil. This will, of course, come with a small fee. The next thing that you need to do is to know the needed chemicals that your plants need for them to be able to grow well. The best thing to do this is to list down the plants that you are planning to grow and the type of soil they require, as this stuff will help you with the needed chemicals that they need. Start picking the type of fertilizer that will help supply the nutrition needed by your plants and soil. There are different types of organic fertilizers, including bird and animal manures, which is a good source of microorganisms and nitrogen. There is a bone or blood meal, which is a slow release nitrogen and also has traces of minerals. You can also pick a rock phosphate fertilizer, which is perfect for plants that are flowering. It also can provide a phosphate addition for an extended period. Since there are a lot of organic fertilizers in the market, it would be best to read their packages for you to know the quantity of nutrients that they have. You need to look for the ingredients of each fertilizer, including the pricing, labels, and the instructions required to follow for you to be able to start with the application. You will notice the numbers indicated on the label of an organic fertilizer and these figures refer to the percentage of the three different key nutrients of that certain fertilizer, including the potassium, phosphate, and nitrogen. For instance, if you see a fertilizer that is marked 7-13-11, this means that it has 7% nitrogen, 13% phosphate, and 11% potassium. If there are other types of nutrients, they will all be listed, so you don’t have to worry about anything. Now, if you are having a hard time choosing the right fertilizer for your plants and soil, then discussing the different options with a store personnel will help. 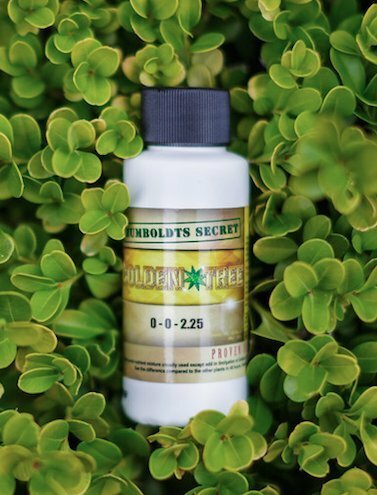 They will be able to help you to choose a product that is perfect for your plants and soil’s need. Once you have the fertilizer, you need to start buying the needed supplies. Some fertilizers can easily be mixed with the soil using a shovel. There are also some that will require a spreader for you to be able to apply them. Spreaders can be purchase in very garden stores in your area; you may also opt to rest a spreader if you like to. Now that you have everything needed, the next thing that you need to do is to check how much of the organic fertilizer you need. The amount will depend on your soil’s health and the space that you have. Always remember that the more unbalanced your soil, the more organic fertilizer you need. Follow all the directions on the fertilizer packaging for you to know how to apply it properly.Typically you will need to use some math for you to be able to figure out the required amount of fertilizer to use. You don’t have to worry because the packaging will most likely suggest the needed amount. When it comes to using math, usually, you will need to do some multiplication and division for you to figure out the required amount. After the application, the last thing that you need to do is to start evaluating the results. Of course, this will take some time, but you will eventually see the results in no time. You can start reading the label on the package for you to know how long it will take for the organic fertilizer to work on your soil. If you are not getting any results, then talking to the garden store personnel or a professional one will do. These are the different ways on how you can choose the best organic fertilizer that is perfect for your soil and plants. Now, it is time for you to know the different organic fertilizer that you can purchase. Neptune’s Harvest Organic Hydrolized Fish & Seaweed Fertilizer will provide you with the best and the perfect blend of seaweed and fish hydrolysate, which will give you a fertilization program that is complete. People who have been using this type of fertilizer regularly have increased the yields and the shelf life of both their vegetables and fruits. The reason behind this is because seaweed and fish are both known to create a nature sugar in certain plants, which will then result in a colorful foliage and flower, and as well as make them stronger. This Neptune’s Harvest Fertilizer will help you to have blooms that are fragrant, plentiful and longer lasting. This fertilizer is known to have a balanced organic fertilizer, which is convenient, easy, and fast to use. Another good thing about the Neptune’s Harvest Fertilizer is that it is perfect for different types of plants, such as cucumbers, parsley, greens, basil, pepper, roses, and tomatoes. 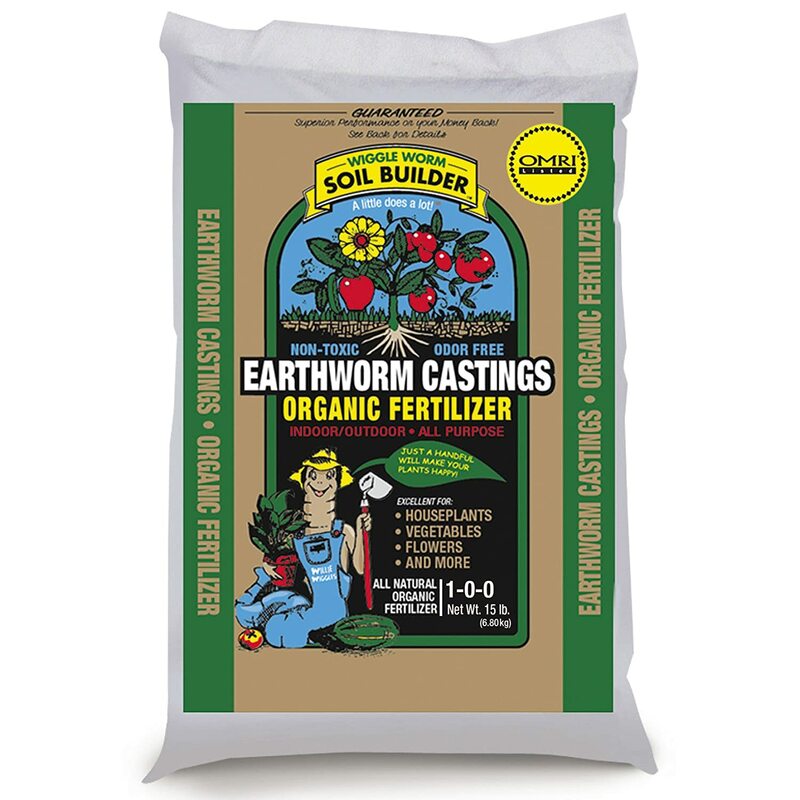 Unco Industries Wiggle Worm Soil Builder Earthworm Castings Organic Fertilizer is one of the purest fertilizers that can be purchased on the market today. You will only be required to use a little amount for your flowers, vegetables, and houseplants. You will surely be amazed at how gorgeous your plants will grow and yields that you will be getting on your plants. The worms from Unco are fed with organic materials that are rich in organic material, which usually contains traces of elements and different types of minerals. Unco Industries organic fertilizer is also consist of nutrients that are soluble. This is the main reason why the fertilizer can provide amazing results. Another good thing about this organic fertilizer is that the worm usually brings and mixes all the traces of elements and nutrients uniformly in the simplest forms, for your plant to obtain all of it. S﻿afer Brand 9333 Ringer Lawn Fertilizer can work almost immediately to make sure that the natural element will be properly balanced in your garden’s soil. This will then give you a greener and healthier lawn in just 3 to 5 days. 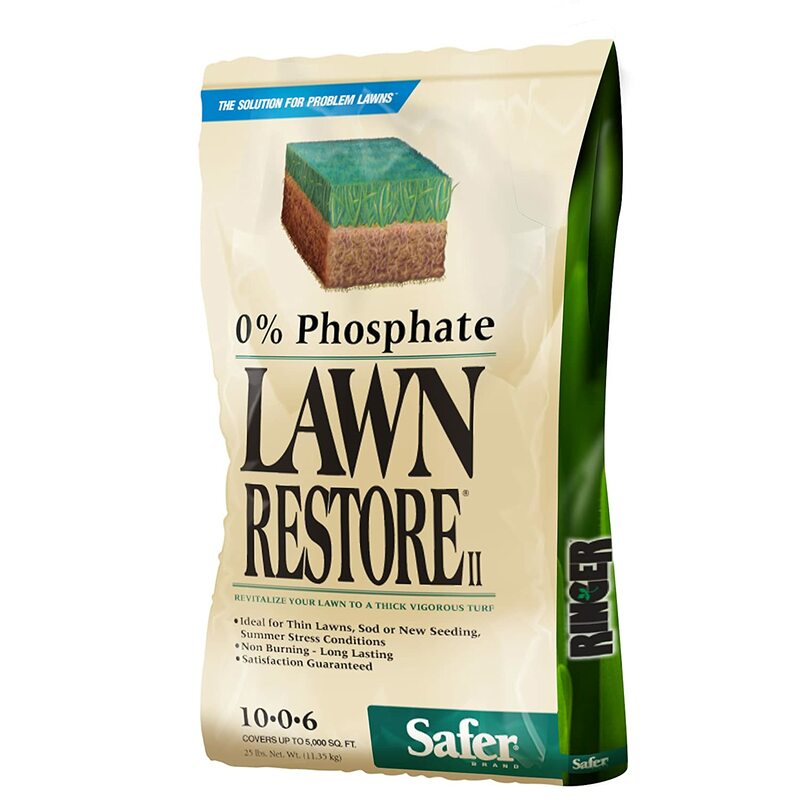 If you want your turn to look fresh and healthy, then the Safer Brand lawn fertilizer is the one for your garden. This organic fertilizer can be applied during the season of growing, but the first application should be made during the early spring, while the last application should be made in September. Apply the fertilizer at least 3 times every year, during fall, summer, and spring. The Safer Brand fertilizer won’t burn your lawn since the formula is made out of organic ingredients that are plant based. The only thing that this fertilizer will do is to provide you with the best turn and a strong produce. Another good thing about this fertilizer is that it can provide you with a lawn that is free from weed and root system that is strong. As you all know, stronger roots mean that it will protect your lawn against diseases and drought. Tomato-tone Organic Fertilizer is consist of 6% soluble potash, 4% phosphate, and 3% nitrogen. It also has 5% calcium, which will help prevent the blossom from rotting, and as well as 3% sulfur and 1% magnesium. All these elements are essential for you to be able to provide your tomatoes and other plants the nutrients that they need. One of the best Tomato-tone features is the Espoma’s proprietary, which is a formula that contains over 3 million microbes that are beneficial. The microbes are the one responsible for keeping the plants healthy and big. 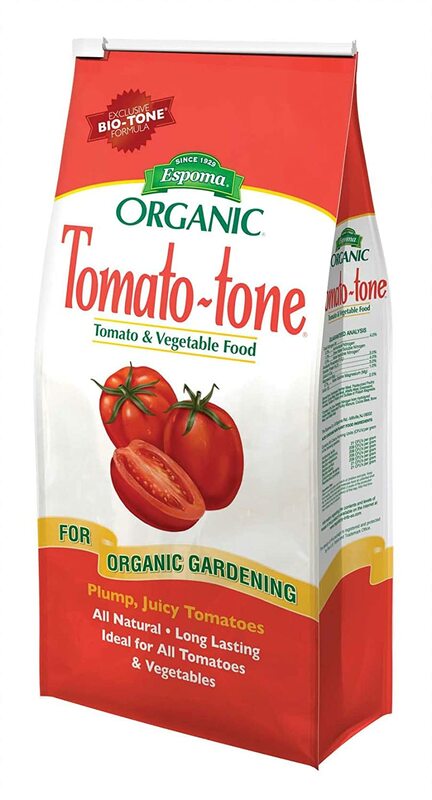 The Tomato-tone fertilizer will help your produce stronger and grow faster. Another good thing about this fertilizer is that it is perfect for all types of tomatoes, so you no longer have to worry about anything. 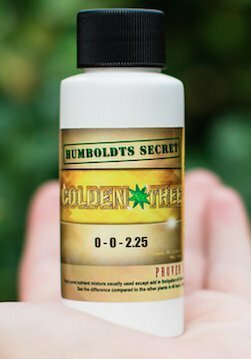 Humboldts ﻿﻿Secret Golden Tree Organic Fertilizer will let you add a gallon of water for every 5ml of this fertilizer. This fertilizer should be feed once to thrice every single week to provide the nutrients that your plant needs. One of the best things about this is that it can decrease the veg time by 50% and increase the yields by 20%. It works best for tomatoes, roses, lawns, fruits, flowers, vegetables, and trees. The Humboldts organic fertilizer will provide all the essential foods that your plant needs to be able to grow healthily. The quality of the harvested crops are also high, so you no longer have to worry about anything at all. These are the best organic fertilizer available in the market today that you can choose. Of course, in every review, there will always be one that will stand out, and for this review, the winner is Unco Industries Wiggle Worm Soil Builder Earthworm Castings Organic Fertilizer. The reason behind this is because it works excellently to flowers, vegetables, and even houseplants. The earthworms are from pure casting, which makes this fertilizer an excellent choice. Start applying an organic fertilizer in your soil and plants now for you to be able to see the amazing results that fertilizer can do.